"I can never read his account...without believing that it would make a difference in today's world if our contemporaries knew of such a man as Solomon Northup." "Its truth is far greater than fiction." "It is a singular coincidence, that Solomon Northup was carried to a plantation in the Red River country–that same region where the scene of Uncle Tom's captivity was laid..."
"I did what I thought was right. I'm not trying to run any popularity contest." – Dr. Sue Eakin, reflecting on the unpopularity of her civil rights activities in her small Louisiana town in the 1960s and 70s. Originally published in 1853, Twelve Years a Slave was lost to history by the early twentieth century, when it could not be located by libraries, stores or catalogues (see 1922 New Orleans Item news clipping). Then a 12-year-old avid reader in central Louisiana – the future Dr. Sue Eakin – discovered a dusty copy of the book in a plantation home near the property where Solomon Northup had been enslaved, and it would determine her life's path. Dr. Eakin went on to write her master's thesis about Solomon Northup's story, and after decades of research, produced the first authenticated edition of the book in 1968. In 2007, at the age of 88, she completed her final definitive edition with over 100 pages of fascinating new information, never-before-published images and unique maps related to the story. Along the way, Dr. Eakin authored over a dozen acclaimed history books and became an award-winning history professor, Hall of Fame journalist, local civil rights leader and internationally recognized authority on antebellum plantation life. After her passing at age 90 in 2009, her priceless archive was donated by her family to Louisiana State University at Alexandria. The Smithsonian Institute is creating a permanent exhibit featuring her Twelve Years a Slave research materials, and her family carries on her work with the publication of her final edition in book and audiobook formats. Audio clip of Dr. Eakin's description of the moment she discovered Solomon Northup's narrative when she was 12 years old. Voiced by Casey Kelly. Dr. Eakin's academic career spanned over two decades with intensive historical research supported by grants from the National Endowment for the Humanities, the American Association of University Women, the LSU Foundation and others. She founded and directed the World Plantation Conferences featuring prominent scholars from around the world, served on the boards of many historical foundations, and delivered hundreds of speeches around the country regarding her research and unique perspectives. 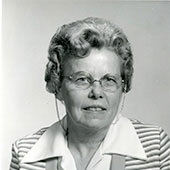 A popular classroom teacher, her travel courses in Louisiana, Southern and American history developed a large following, and she was recognized as Distinguished Faculty of the LSU System and national Outstanding American History Professor by the Daughters of the American Revolution. Dr. Eakin's journalism career as columnist, reporter and freelance writer-photographer for daily newspapers in New Orleans and Alexandria, LA, paralleled her academic career, and she was inducted into the Manship Journalism Hall of Fame in Louisiana. Dr. Eakin, the daughter of a planter, describes the conflict that erupted in 1944 when she invited the all-black Southern University choir to sing in her small central Louisiana town. She sums up her philosophy in braving the pressures and threats from townspeople who disapproved of her civil rights activities.